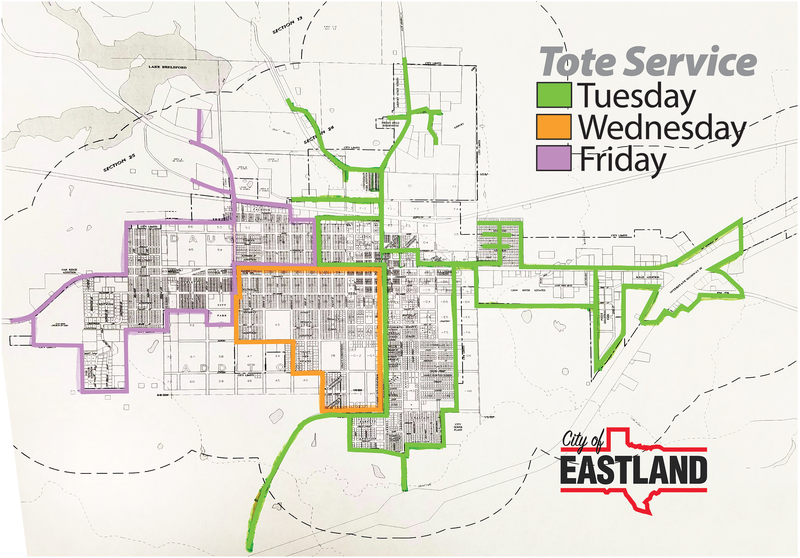 The City of Eastland currently contracts solid waste collection with Progressive Waste Solutions. Progressive provides Bulk Pick Up services on the first and third days of each month. They also offer seasonal Bagged Leaf pick ups on the 2nd and fourth Fridays. 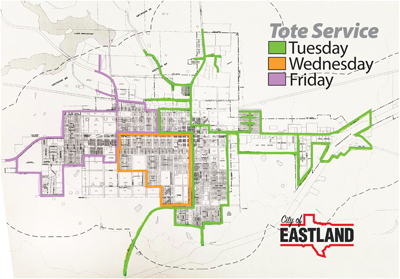 Bagged Leaf Pick Ups begin in early December and continue until late March. 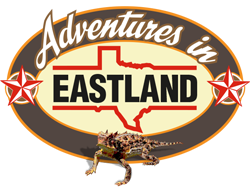 In cooperation with Progressive Waste Solutions, the City of Eastland offers a local Convenience Center for the City of Eastland residents use only. The Convenience Center is only open Mondays, Wednesdays and Fridays from 9 until 2:30pm. You must Schedule a drop off a least 24 hours in advance with the City Hall. At this time, Progressive Waste Solutions nor the City of Eastland offer city wide recycling services.